Yep – for real! 6 million people can’t be wrong! I read about ShopBack just last week, but only became super interested when they said that you can get a discount at Woolies (cause that’s where I shop!). And especially reading the up to 30% discount on all of your online shopping – because that is the type of discount that really makes a huge difference to the hip pocket. 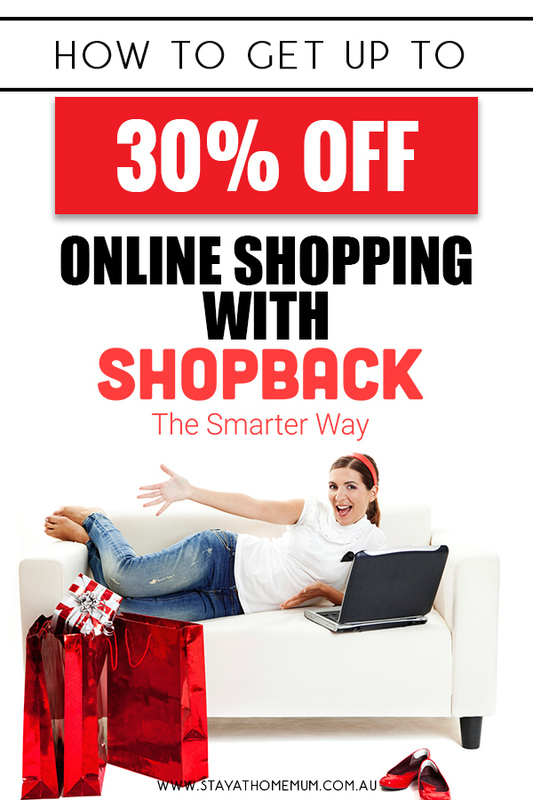 ShopBack is a cashback site that pays you to shop with their merchants. If you book a $1000 hotel stay via Expedia and they are offering a 6% cashback offer, within seven days you will get $60 back into your account. In real money. You download the ShopBack App and sign up for an account (you can do this easily through Facebook). They also have a website for shoppers who prefer their laptops. You click on the store that you wish to shop in (a selection is listed below) and shop how you normally would. Because you went through the ShopBack App, you will get your cash back within 7 days – you can transfer straight to your bank account or via Paypal. It is totally free to join. Plus if you refer friends and family, you get even MORE cash back in your account. What I like Shopback is that apart from opening the app or website when I do any shopping online, I don’t have to do anything else. I’m effectively getting a discount every time I do shopping – for doing nothing! Plus the idea that the money is transferred straight to my bank account is really attractive. Not only do you get a percentage of the sale in cash back to your account, but they also have offer codes for further discounts. For example, at the moment ShopBack has a Woolworths promotion to get 5% off Household, Beauty and Baby Products. You just need to use the code they have provided. So not only do you get a discount, you get a discount AND you get cash back. So it is really worth using the App for every online shop you possibly can. What’s really great as well is you earn cashback even on sale items! When you set up an account with ShopBack, if you refer two friends, you get $22 and your mates get $12 each! That is just until the 1st October – then it reverts back to $5 like the link below: This is an easier way to make cash than doing surveys online! When you log into the ShopBack App, you can see an overview of your online spending, pending payments, bonus cash for referring friends and your total earnings. I love platforms where you can see everything so that it is reliable and safe. Who Can I Shop With Through ShopBack? You can even get cashback on flights and hotels – which is fantastic because travelling anywhere, especially with the whole family, is super expensive! As you can see, some are quite low, but others are quite high (HelloFresh has $25 cash back #winning). But I figure it is money for nothing so why not! I’ve downloaded the App and I have to do my online shop with Woolworths tonight – so I’ll certainly be using it. I also use Catch and eBay frequently, so I’m excited to see how much I can earn over time. 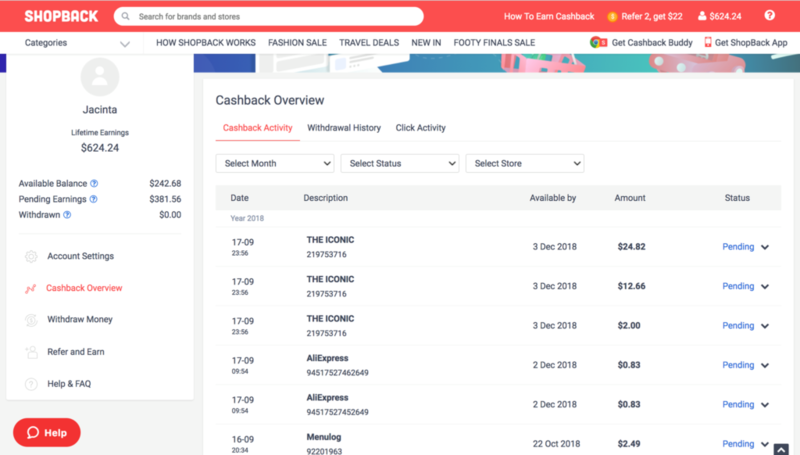 I’ve been told most ShopBack users earn close to $400 cashback a year but one shopaholic out there has already racked up $6000 in cashback in 4 months! This just might go towards my backyard pool! If you’re interested in signing up for a free ShopBack account, click here for a $5 welcome bonus exclusive to SAHM readers.